THERE IS NO Bible example of fasting before the time of Moses. But it is presumed that the patriarchs fasted until Moses' time. We think this because there was a great deal of mourning among people of the Old Covenant. In the New Testament, people fasted to minister to the Lord, ordain men to the ministry, and seek God in times of crisis. YOU MUST ALWAYS HAVE A PURPOSE FOR FASTING. Don't fast just because someone tells you to. He does, do it! 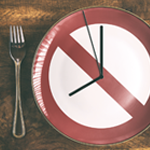 However, it is important to remember that FASTING DOES NOT CHANGE GOD. He is the same before, during, and after you fast. But FASTING WILL CHANGE YOU. It will help you to keep the flesh under and become more sensitive to the Spirit of God. When I first started out in the field ministry, I wasn't led of the Lord to do this, but I set aside two days a week to fast. Then I took the time that I would have been eating to pray and fellowship with God. Fasting will not do much good if you don't pray and wait on God. After several years of fasting, God said to me, "I WOULD BE MORE PLEASED IF YOU LIVED A FASTED LIFE." "What do you mean, a fasted life?" I asked. "Never eat all you want," He said. "Keep your appetite under. That's all a fast is going to do anyway—keep the body under." I never had any more days of fasting after that, unless the Holy Spirit spoke to me. I found that I made greater spiritual strides—both personally and in ministry—by living a fasted life. I noticed that healings came more easily when I did this, and I started having more results. It helped my spirit become more sensitive to God's Spirit so He could manifest Himself through me. Some people try to make a religion out of fasting. They push themselves to an extreme, thinking works will get the job done. Don't be like the pastor who broke down his body with fasting and became so sick he died. Did you ever notice that Jesus again and again departed from the crowd? His body was like ours. He got just as tired as anyone. The main thing is to be led by the Spirit of God. FAST AND WAIT ON GOD AS THE HOLY SPIRIT LEADS YOU. Remember how Daniel fasted 21 days? He ate no "pleasant bread" (Dan. 10:3). THERE IS MORE THAN ONE WAY TO FAST. There are no ironclad rules. Daniel didn't eat anything he wanted, but he did eat something. That is harder to do sometimes. It's a matter of us dominating our flesh, not letting our flesh dominate us. You can also fast things other than food, like television. Daniel gave up eating pleasant bread. So why wouldn't it be alright to give up things that might be pleasant to us? A well-known evangelist gave God 10 percent of his time in prayer. He prayed 2 hours and 40 minutes each night. To do that he sacrificed his television time. You might say, "I couldn't pray 2 hours and 40 minutes a day." But perhaps you could sacrifice television time or some other time that you're wasting to devote more time to prayer. The Bible doesn't give us specific instructions on when to fast. I believe this is because God wants us to learn to be led by His Spirit. That way we'll be prepared for whatever He has for us to do. We need the help of the Holy Spirit—and we have it—in this area, as in all others.